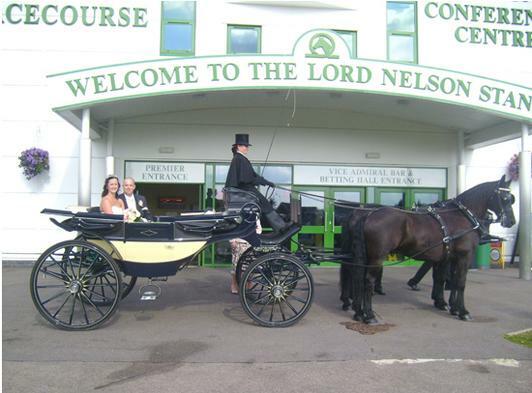 The Lord Nelson Grandstand at Great Yarmouth Racecourse offers a picturesque and tranquil setting for your very special day, with a wonderful backdrop for photographic memories. We also have several on site marquees with private lawns so you can make the most of the summer weather. Wedding Breakfast packages can be tailored to suite your needs depending on your taste and budget. 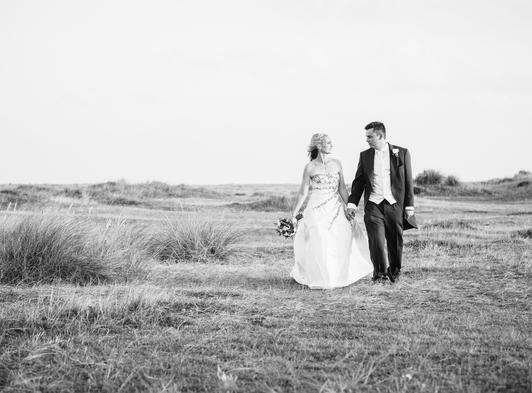 For examples of our menu’s please contact our Wedding Co-ordinator, Jan Leader, on 01493 845556, who will be happy to discuss the specific requirements of your day. 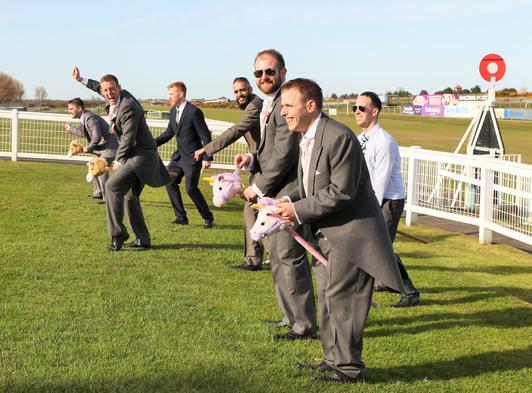 If you are looking for something a little different or are a racing enthusiast, why not incorporate your favourite sport into your special day? 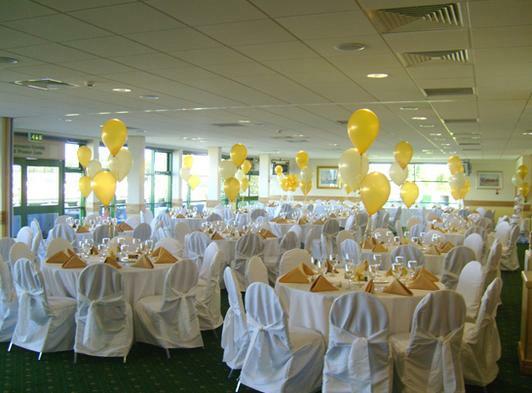 Weddings or parties held on a race day give the added value of allowing your guests to be entertained by an afternoon or evening of exciting racing. You might even get the opportunity to have a race named after you and to present awards to the Best Turned Out Horse and Winning Owner in the Parade Ring! 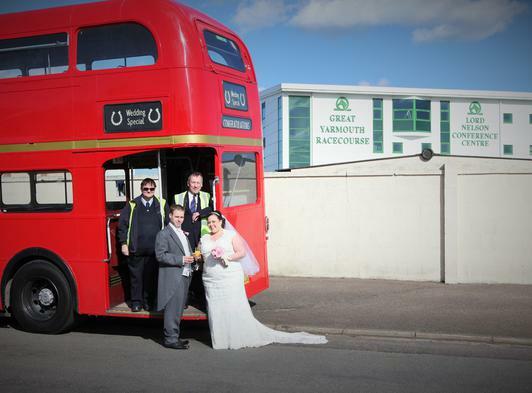 Great Yarmouth Racecourse can provide you with the perfect setting for any celebration. 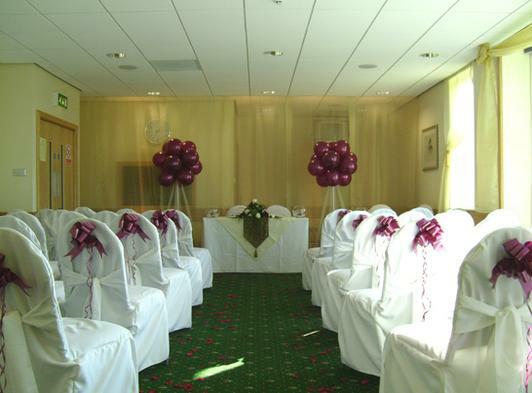 Our Civil Ceremony Licence allows you to hold your Wedding on site in one of our modern suites. Choose between the Horatio, Victory or Trafalgar Suites, and we will provide you with the perfect setting for your special day.